After travelling for three months, our suitcases were on the verge of bursting. It’s been getting bigger and harder to pack every time we’ve succumbed to the temptation of buying more stuff. Adam even broke a suitcase zipper from trying to jam everything in 😦 It was time to send some stuff home. 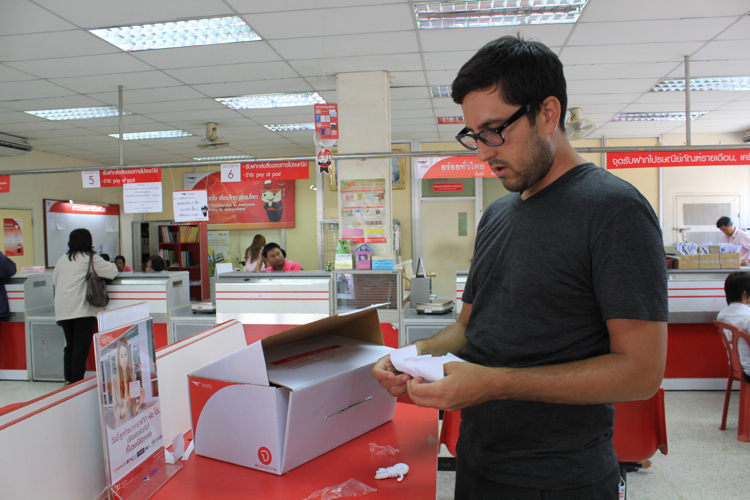 I like to over think and complicate things every chance I get, so of course I had to google “how to mail packages to Canada from Thailand”. To my surprise, I couldn’t find that much information on various travel websites or forums. I guess it’s so easy that a guide really isn’t necessary. Still, I’d like to share our findings. 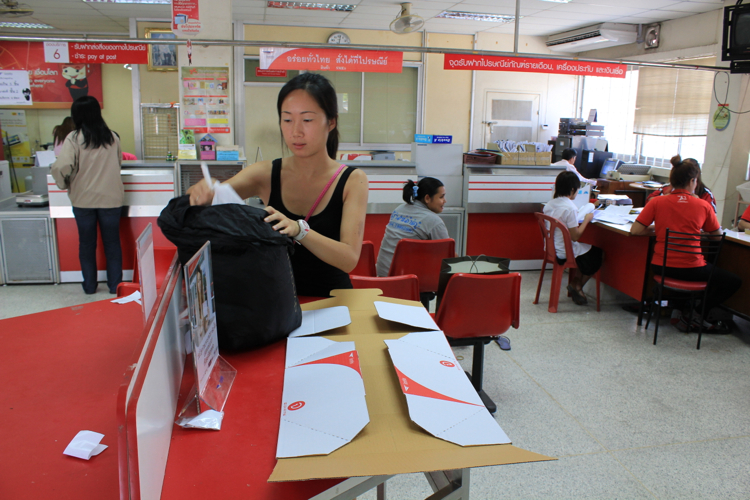 Mailing stuff home from Thailand to Canada was very quick and painless! 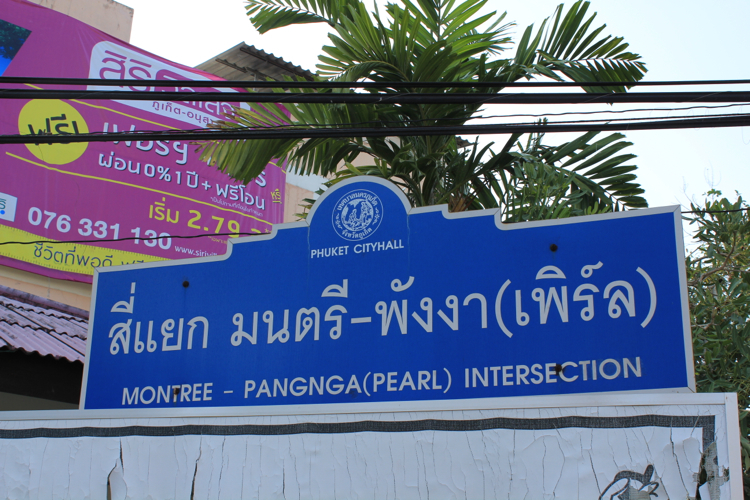 While we did it in Phuket Town, I assume it’s the same all over Thailand. 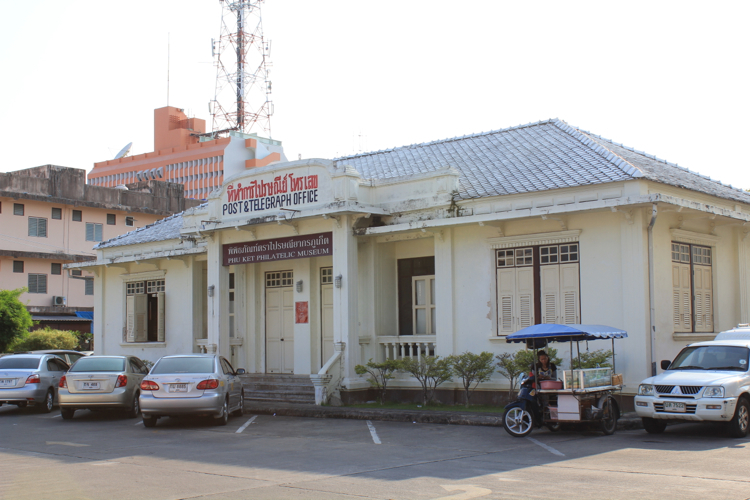 The post office in Phuket Town is a little north of the Montree/Montri Road and Pangnga/Phangnga/Phang Nga Road intersection, right next to the Phuket Philatelic Museum. I’m not sure why, but the post office does not show up on google maps. The map below shows the location of the Stamp Museum instead, which is close enough. 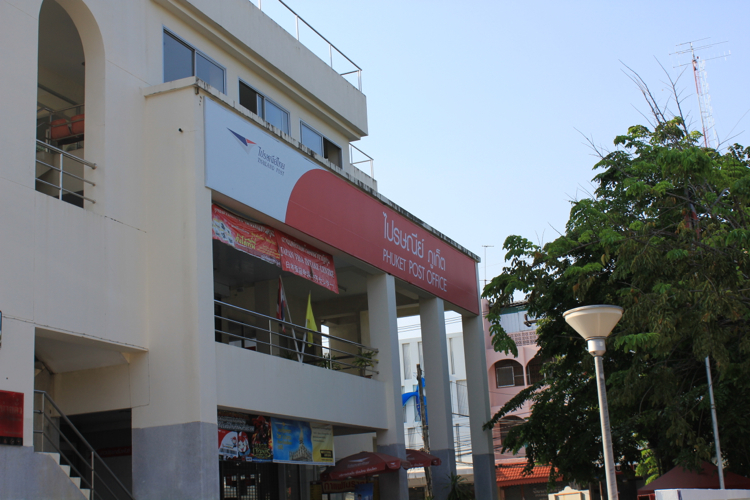 Operating hours are: Monday – Friday 8:30 am – 4:30 pm. Saturday 9:00 am to 12:00 pm. 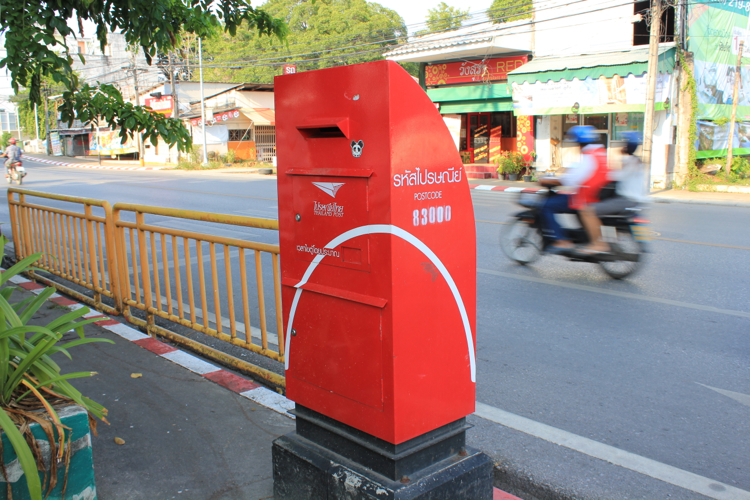 Communicating in English was a wee bit of a challenge, but we understood each other well enough to get a post box measuring 60 x 40 x 25 cm for 25 baht ($0.87 CAD). Since we’re in no rush to get our stuff back home, we chose the slowest (and cheapest) mailing option, which was by “surface”, and will take 2 – 3 months to reach its destination. Weighing in at 4 kg, sending our package to Toronto, Canada cost 970 baht ($34 CAD). 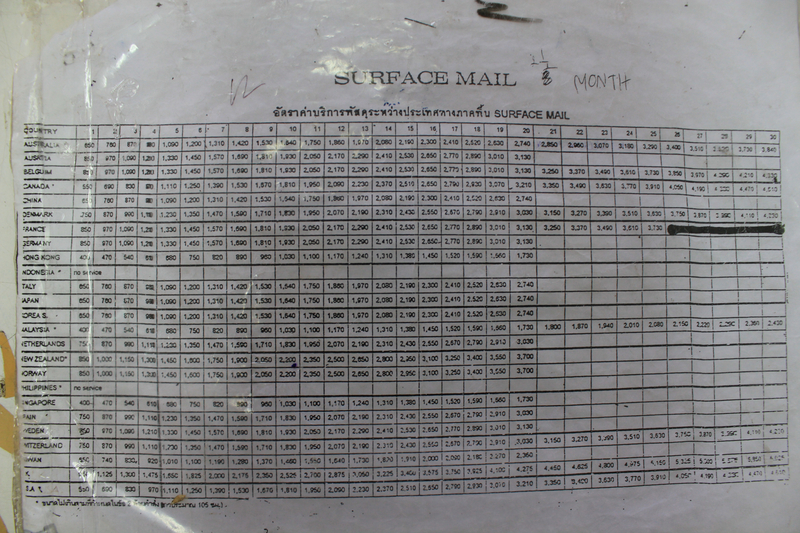 Below is a surface mail price chart that was available for reference. 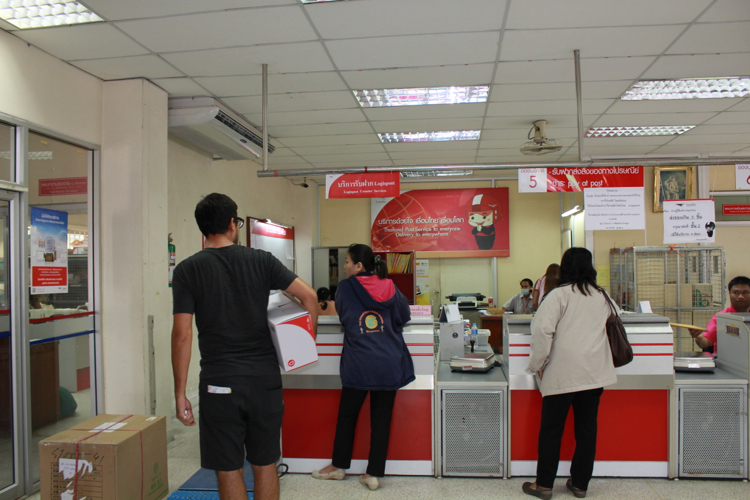 It shows how many baht it costs to mail stuff to various countries based on the kilograms indicated on the top row. You should be able to zoom in on the details if you click on the picture. What’s also great is that we didn’t have to pay extra to have the package tracked. The receipt shows a 13 digit tracking number you can use on the Thailand Post website up until it leaves Thailand. After that you would use your home country’s postal service. That’s Canada Post for us. So address your package, pay up, and that’s it! Although note that the shipping label you need to fill out asks for a “From” address in Thailand in case of non-delivery. Since we didn’t have such an address, the lady at the counter said it was ok to just leave our email addresses. P.S. 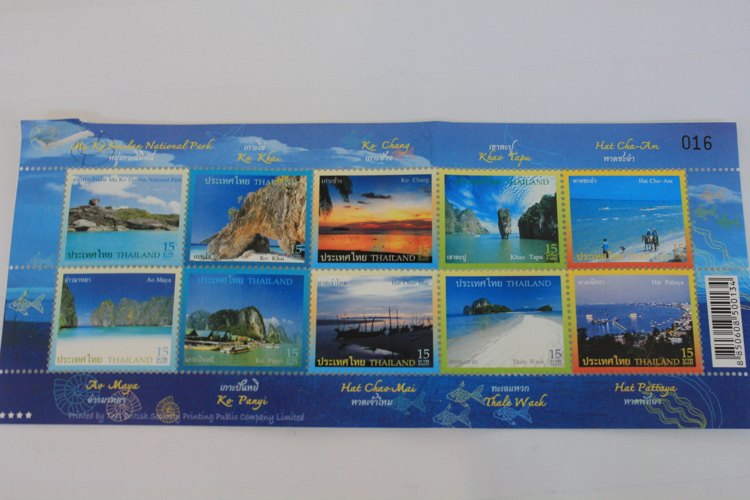 International stamps cost 15 baht each. 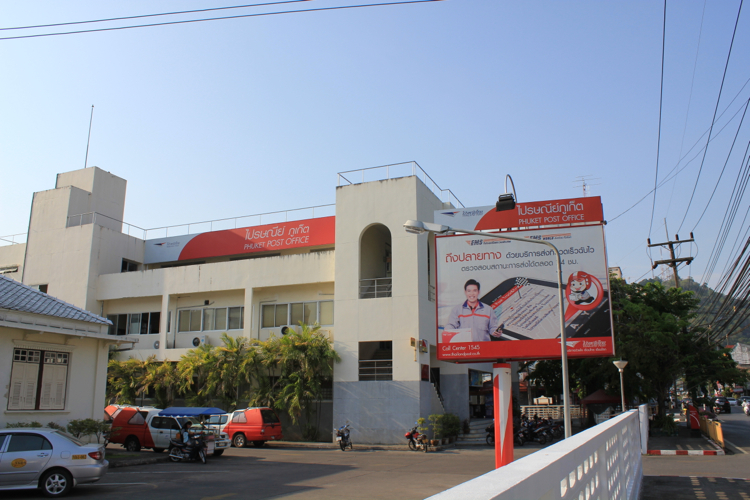 Google maps does show the post office– you didn’t zoom in enough.